Echo Park- Walking on Sunshine Collection. 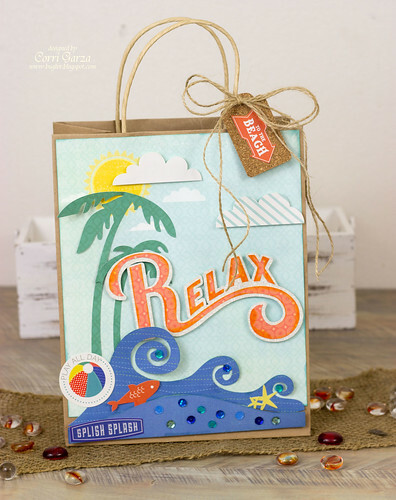 I started with a plain Kraft gift bag and add some pattern paper and die cuts to make it into something fun! 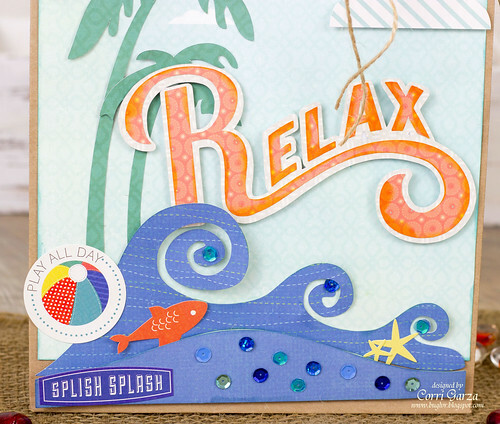 I used this Echo Park Wave and Relax die cut. I created an offset with the Silhouette Studio software to make it easier to space out the letters. I added a few stickers and sequins to finish it off. I'm planning on putting some sunscreen, a magazine and a beach towel for a end of the year gift for my daughter's teacher. It would also be perfect for bon voyage gift for a friend. What a cute bag! Love how you used all the die cuts and stickers, those waves are so fun! Fun, fun, fun!!! Love this!